Now, Mum really wants a quilt. She started dropping subtle hints about 4 years ago, then over time the hints became increasingly pointed, until finally she got Mad Aunty Jean to call and casually mention Just How Much Mum Would Love A Quilt Made By Me. 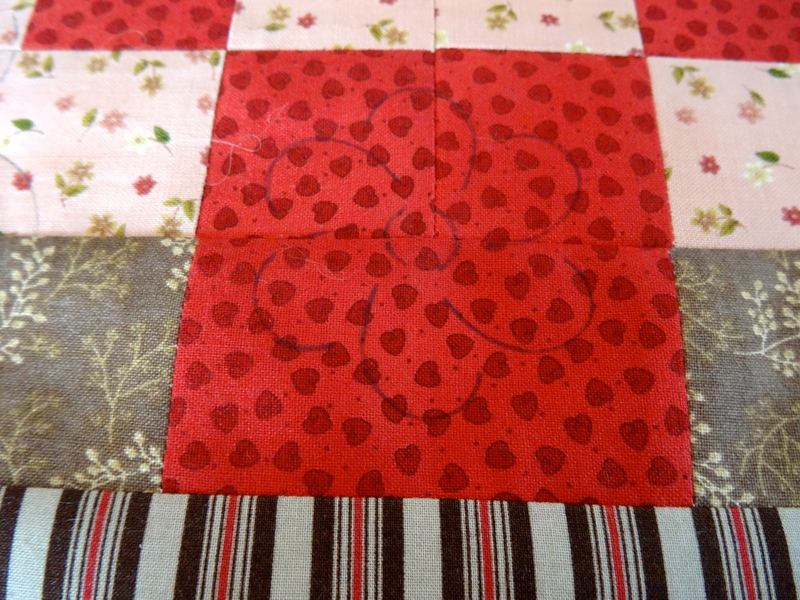 Mum knows that a quilt will appear at some point. I think she’s secretly hoping it’ll be ready in time for Christmas (she thinks I’m making her a new knitting bag and knitting needle holder for her birthday). But as I shall be going back to the UK to see her for her birthday, I thought it would be a lovely surprise if I could finish it off and take it with me. Nothing like piling the pressure on myself, eh?! I kind of started work on it over the summer (well, I got as far as cutting the fabric out), but it wasn’t until quite recently that I actually started sewing. 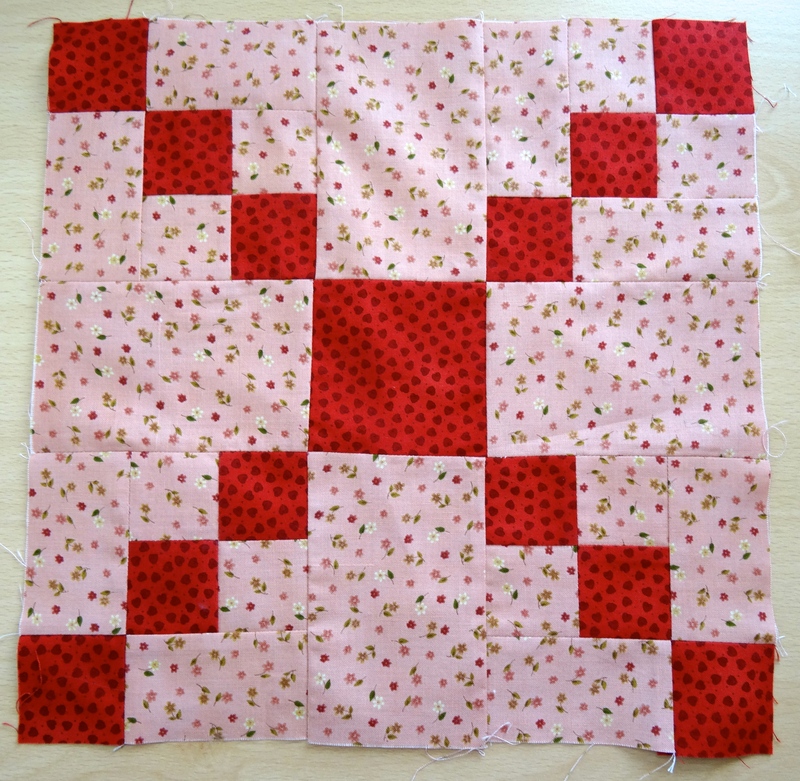 This involved piecing 42 blocks and 3 borders. Phew! I think I’ll be right up to the wire with this one, so wish me luck! 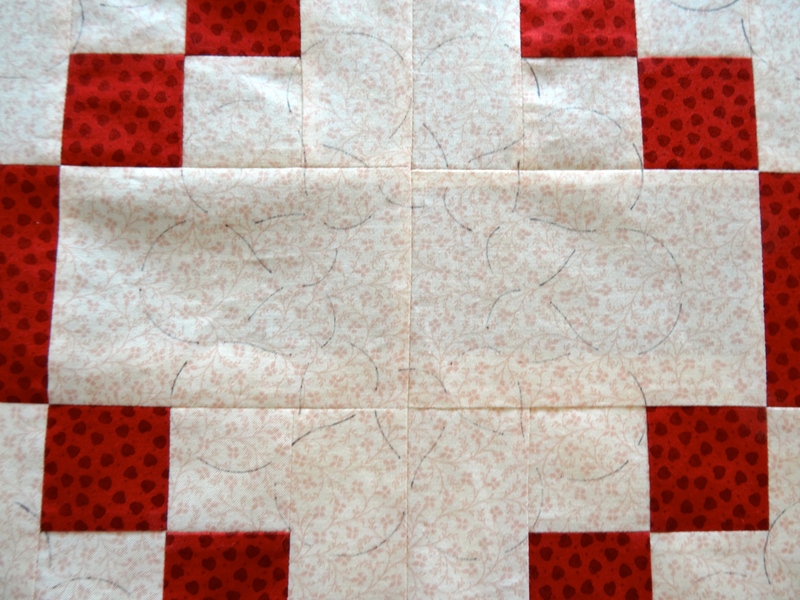 Linking up with Lee over at Freshly Pieced for WIP Wednesday. 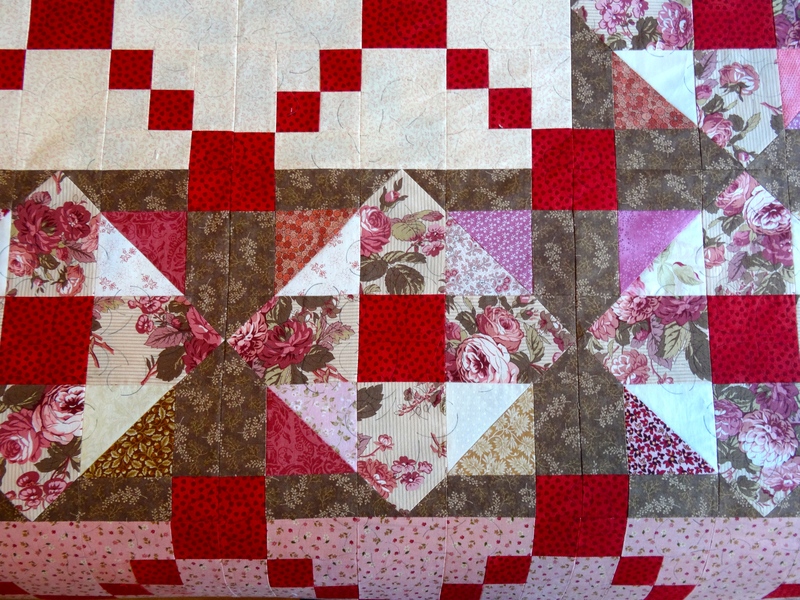 Lovely quilt. 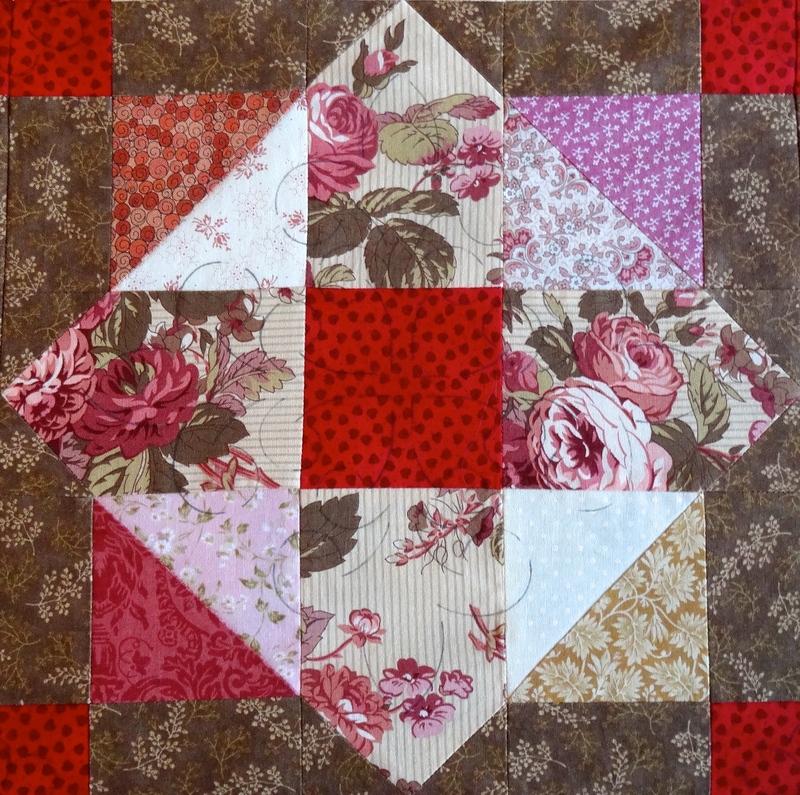 I shared this on my face book page so my quilting friends could see it also. Good luck! Nothing worse than mad aunties being called in to scare you! 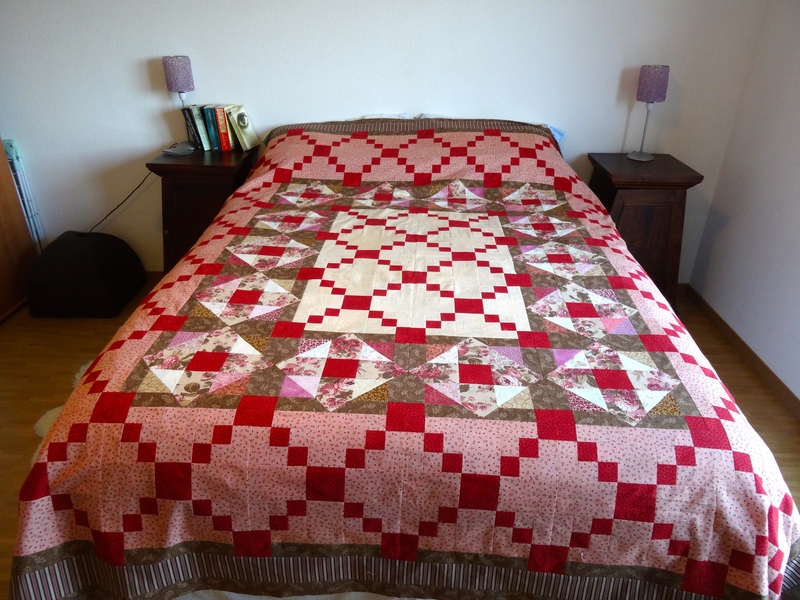 A totally awesome quilt. The colors are so comforting. You mum is very lucky! Click here to follow me now!